A New Model for Gifts! Christmas is in the air and I am sure many of you have been buying gifts for your loved ones. Not to be the Grinch– but there is strong empirical evidence that shows that gift-giving destroys a third of gift value. 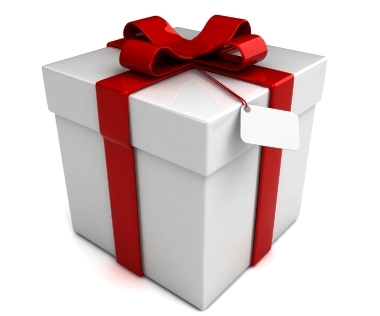 Gift-receivers on average, value gifts a third less than what the gift giver paid for it! Essentially, gifts are really inefficient ways to show you care. But, a startup conceived and developed in one of our classes on renaissance innovation has an elegant solution to offer. The inefficiency of gift giving arises out of an information asymmetry– the gift giver has less information on the value of a gift than the gift receiver. What if we could somehow decrease that information asymmetry? Askherfriends.com uses the power of social media to do exactly that. Say, you want to buy a gift for that special someone. But you have no idea where to start. Askherfriends allows you to poll the friends of the special someone on what gifts she (he) would like. This helps you get a better idea of what your special someone wants and can reduce the inefficiency associated with gift giving. As with many of the companies featured on this blog, askherfriends has not invented a new product, nor is it based on any fundamentally new technology; but it provides a new system for gift giving, a more efficient system. This is at the heart of renaissance innovation, revolutionizing the operational-economic systems around existing products, technologies and activities. And as askherfriends illustrates, even something as long-standing a tradition as gift-giving could benefit from renaissance innovation!